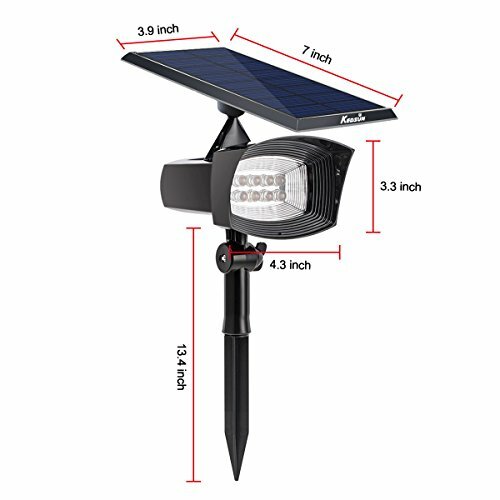 KEDSUM New Version solar light lengthen the stick to be inserted deeper into the ground and get more stable in bad weathers of rain, wind and snow; what's more, its brightness up to 300 lumens,which is more bright than the old version in the market. 1.Please confirm the switch is under "on" status so that the light could be charged normally and auto lights on at night. 2.The solar panel should be faced with the sun and make sure the solar panel can get the sunlight directly without any shelter or glass. It is suggested that the unit is not installed next to buildings to prevent being covered by shadow. 3.Select an outdoor location away from other light source at night such as street lights. It may cause the product not to turn on automatically at night. ?New Version: Bright 8 LED Bulbs with white light,totally 300 lumens.Bigger and thinner solar panel (5V 2W) with built-in 18650 lithium rechargeable battery(4000mAh),charge faster and store more power. Light up 8 hours after fully charged. 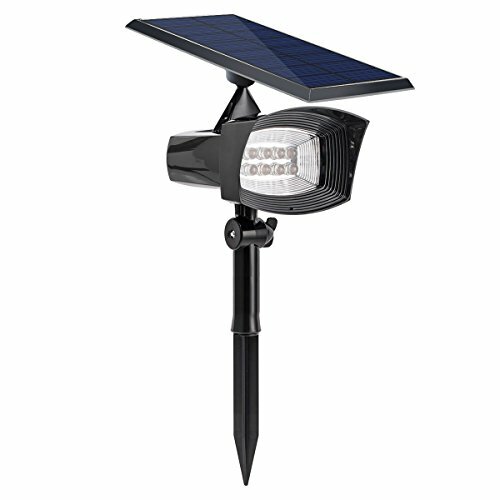 ?2-in-1 Installation - Stick into the ground with included spike / mount on the wall using included screws. ?Auto on at night / Auto off at sunrise;Auto lights up in bright mode (about 300LM) from dusk to dawn for about 3 hours and turns into dim (about 150LM) for the next 5 hours.When sunrise,they are retracted, and absorbing solar energy. ?Adjustable Stake and Solar Panel-360° for the solar panel. 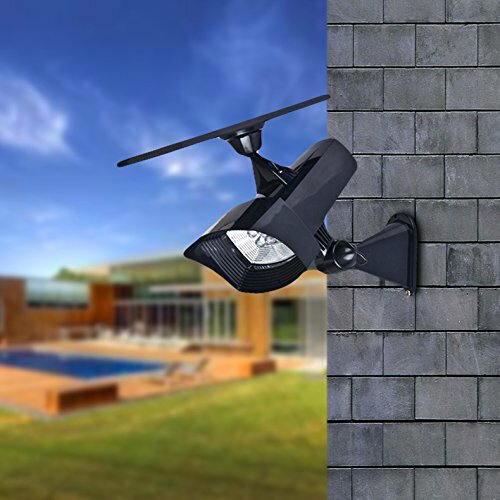 No more worry about the sunrise and sunset, perfect spot and adjustable solar panel angel for optimum sun exposure. ?Waterproof and Heatproof features to ensure it can withstand all kinds of weather all round the year.Perfect for driveway, yard, lawn, pathway, garden.